Medical sterilizers GPO series are designed for sterilization of various medical instruments, glassware and materials with dry hot air. Dry-air sterilizer is used in both hospitals and laboratories. 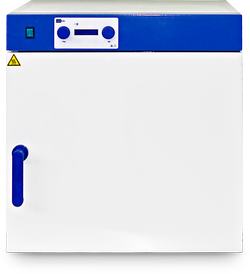 All sterilization ovens GPO series have medical registration. The chamber and shelves are made of stainless steel and the body is made of steel with polymeric covering. Medical UOSlab® sterilizers GPO series provide excellent results when sterilizing surgical garb and bandaging and surgical materials, sterilization of medical products, heat treatment of glassware and containers.